The president said Israel will pay a "price" for his recognition of Jerusalem as its capital and the Palestinians will "get something very good" in return. JERUSALEM — President Donald Trump's national security adviser says there's no timetable for releasing the administration's much-anticipated Mideast peace plan. John Bolton said Wednesday in Jerusalem that a "lot of progress" has been made, but he refused to speculate what the plan entailed or when it may be publicized. The Trump administration recently began staffing its Mideast policy team ahead of the plan's expected release. Trump officials have long promised the most comprehensive package ever put forward toward resolving the Israeli-Palestinian conflict. The Palestinians have indicated they consider it a non-starter given Trump's bias toward Israel and his unilateral recognition of Jerusalem as its capital. At a West Virginia rally on Tuesday, Trump said Israel will pay a "price" for that move and the Palestinians will "get something very good" in return. Bolton would not address the Trump comments or say what the Palestinians could expect. "Work continues," he said at a press conference in Jerusalem. "There are a lot of consultations and there is no decision on a timetable for when the full details of the plan will be announced." 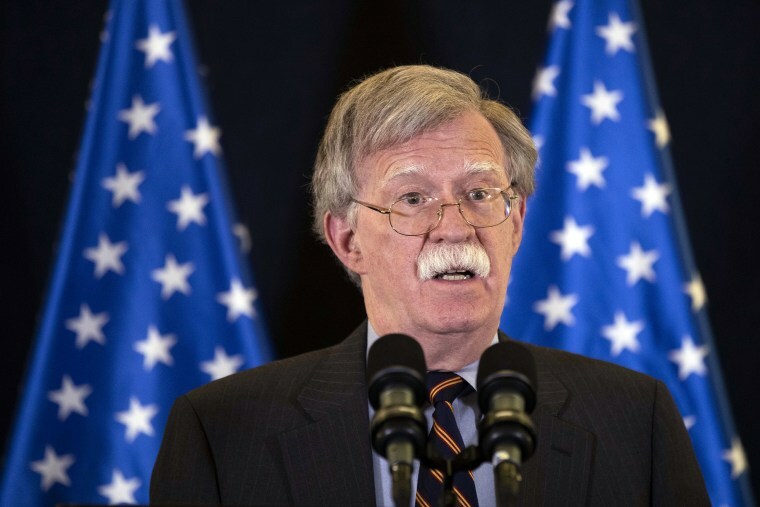 Bolton said the Palestinians have "been used as agents by radical leaders over the years for their own political purposes" and that when the plan was rolled out they would discover that the Trump administration wants to give them a chance for a decent life. Trump's "deal of the century" is expected to propose detailed solutions to core issues in dispute between the Israelis and Palestinians, such as borders, the future of Israeli settlements, the fate of Palestinian refugees and security. Any peace plan would face major obstacles, though, including the increasingly dire humanitarian situation in the Gaza Strip, internal Palestinian divisions and recent cross-border violence between Gaza's Hamas rulers and Israel.